OzHPV provides this for sale service to OzHPV Members free of charge. 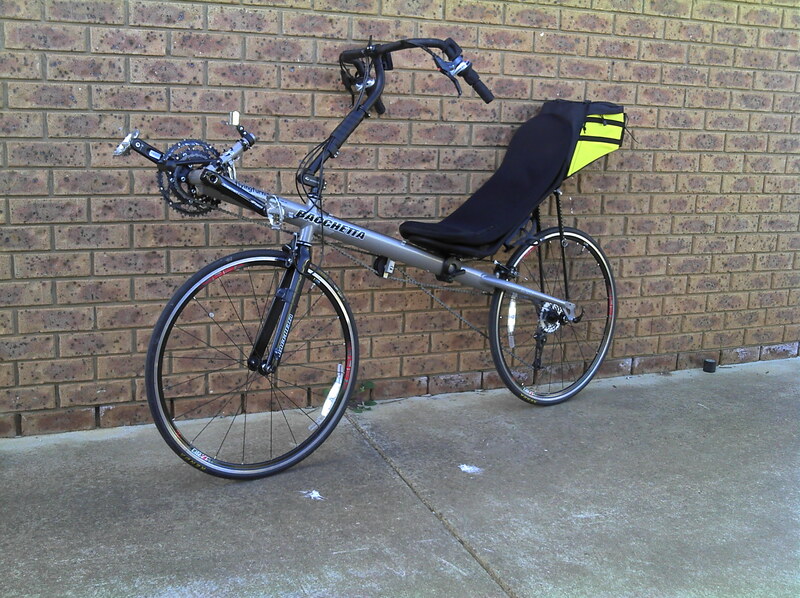 OzHPV provides a free sales site on behalf of all HPV enthusiasts via Facebook page OzHPV Recumbent Buy/Swap/Sell group. Note that our regular OzHPV facebook group does not accept for sale posts - items on this group will be deleted. Adds on this webpage are updated by volunteers, no gaurantee is given on turnaround tiem for placement. Crank Brothers Candy 1 pedals, black, used, some wear & tear on the cleat retention thingys, otherwise as new. No cleats. My sister used these for a few weeks preparing for Around the Bay in a Day a few years ago, decided she didn’t like clipless pedals so went back to flats and chucked these in a drawer. $50 including postage within Australia by standard parcel post. Express Post, signature on delivery etc will cost you more. This is Betsy. Betsy is, as you can see, a recumbent. She's served me well for many years, but I can't really ride her very often any more, and I need to clear some space for some renovations. She's been well look after and is in good condition. Has a rack on the back with a pair of collapsable baskets to carry shopping in. 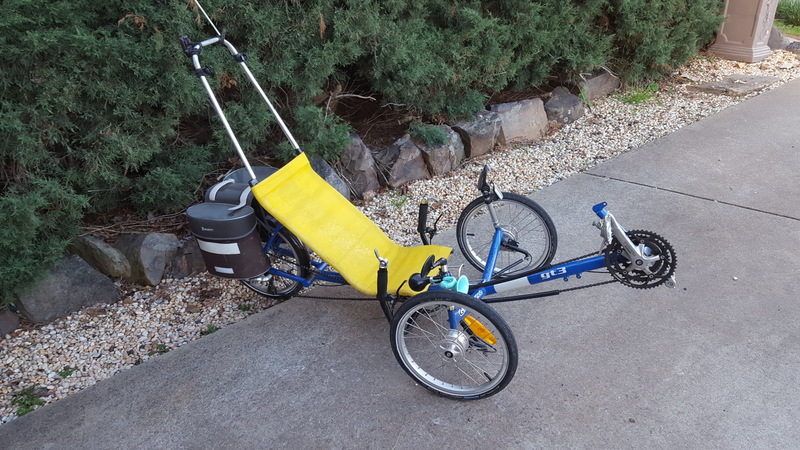 Longbike ‘Gulfstream’ recumbent tandem, Under Seat Steering. This is the only one in Australia. It features Avid disc brakes, rear rack, under stoker racks for Ortlieb panniers, 12-36 Shimano cassette, TerraCycle rollers, rear light, three mirrors, Marathon tyres, Sun Rhyno Lite rims 26’ & 20’, Phil Wood hubs front and rear, mudguards, two S&S couplers and tool. A great ride for touring but we are moving and have too many bikes and tandems. To land it here in Australia with the current specs, including freight, insurance, import costs and GST would be about $11,000.00. 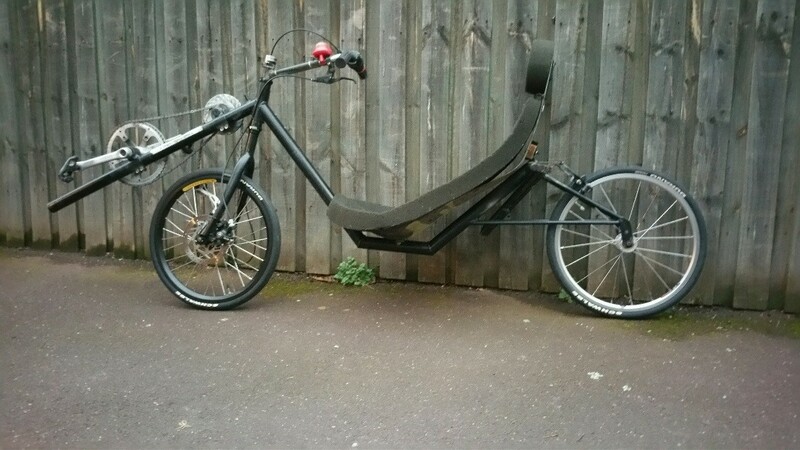 It’s a few years old but in tiptop condition and would suit a new buyer. I am happy to listen to reasonable/sensible offers. 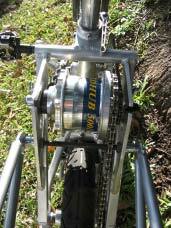 Fork Bacchetta Aluminum, w/Disc Brake Tab, 1-1/8"
Contact John Price: 0421 741 712. Blue bag + 3 shiny stripes. 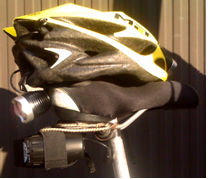 Yellow MET helmet. Red and white lights 2 each. 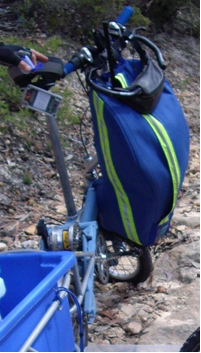 Burley Nomad trailer. Seldom used (and only for the grocery shopping). In as new condition. Includes; rear Cateye LED tail light, flag as well as the optional extra adjustable luggage rack. A very fast bike, frame built by a professional frame builder. 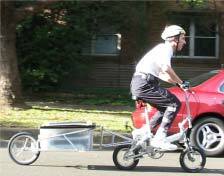 This bike has been used mainly as a training bike and within a custom streamliner shell. 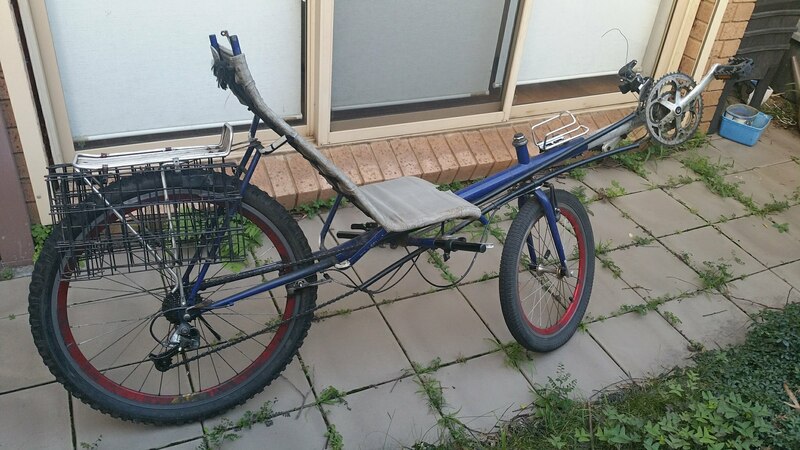 With a mid drive this bike has a broad gear range, and would suit someone wanting to experiment with speed bikes. Better suited to the velodrome or track than the road. 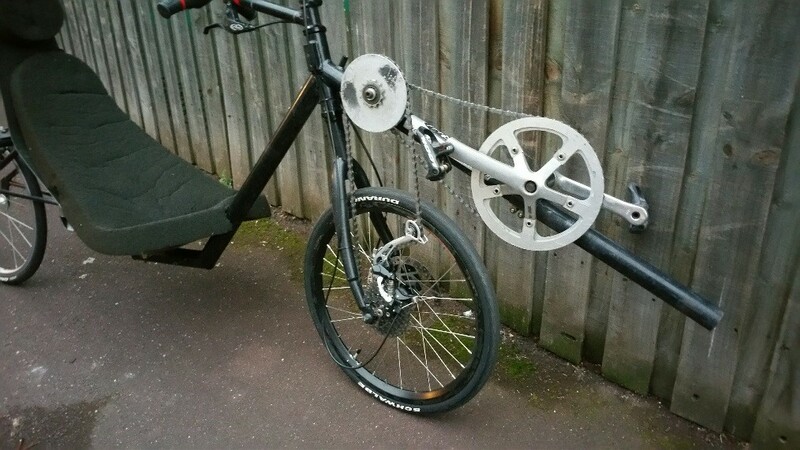 Twist grip shifter, custom steerer and fully adjustable boom. Look Keo or SPD pedals. Trisled carbon seat and foam pad. Loads of fun, dependable and tough.. Fantastic machine was my daily commuter ride. Online renewal is now available.